The annual State of the Vision event is Saturday, June 13. Willard native Sean Swarner is the guest speaker. After beating two different cancers and being bed-ridden for a year, he defied the odds and became the first cancer survivor to summit Mt. Everest (with ONE lung)! Swarner will share his incredible story and the unique tools he uses in business and in life that helped him overcome seemingly insurmountable obstacles, challenges and hardships. He has an uncanny ability to empower people to climb their own Everest in both life and in business. State of the Vision will be held at Holy Trinity Church, 760 Tiffin St. in Bucyrus. Doors open at 5 p.m.
Also featured at the event will be a summer picnic, the Leadership Awards and the CU Lead Graduate Recognition. The event is open to the public. Tickets are $15 (kids 13 and under are free). 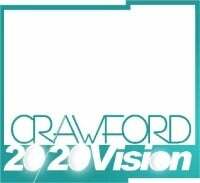 Register online at crawford2020.com or by calling the Crawford County Education and Economic Development Partnership at 419-563-1809.